Himachal Pradesh, situated in the north of India, is a tourist hotspot that draws visitors from across the globe. Himachal Pradesh tourism is fast growing, contributing a huge share to the national income of the state. This boom in tourism has prompted the mushrooming of numerous hotels and resorts in Himachal Pradesh, greasing the wheel for a greater travel experience. Geographically, the state is surrounded by Tibet in the east, Punjab in the west, and Jammu & Kashmir in the north. Popularly known as ‘Devbhumi' or the ‘Land of the Gods', Himachal Pradesh is a travellers paradise, with lush green valleys, snowy peaks, icy glaciers, enchanting lakes, and green meadows. 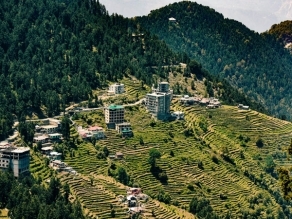 Primarily, Himachal Pradesh has three seasons in a year; they include spring, winter, and monsoon. The spring seasons starts frommid February and extends to mid April. 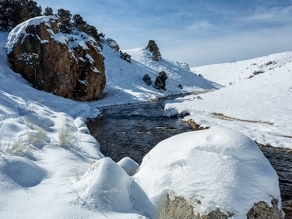 The winter season here starts from October and ends in March and is considered an ideal time visit. The official language of the state of Himachal Pradesh is Hindi. Pahari, which has various dialects and sub languages, is a widely spoken language here. The different dialects of this language include Mandiali, Kulavi, Kehluri, Hinduri, Chameali, Sirmauri, Miahasvi, and Pangwali which are spoken by the inhabitants of Mandi, Kullu, Bilaspur, Nalagrah, Chamba, Sirmaur, Mahasu, and Pangi respectively. Other dialects, namely, Kinnauri, Lahauli, and Spitian of Bhot origin are also spoken here. All the Pahari dialects are known to have originated from Sanskrit. Punjabi, Dogri, and Kangri are also spoken in various regions of the state. the western parts of the state speak Gujarati. Though the languages followed the Persian script during the Mughal reign, they are presently written in the Devanagiri script. Each of the 12 districts of the state of Himachal Pradesh tourism has numerous attractions with a wide range of locations for sight seeing, worship, Trekking, Mountaineering, Fishing, Rafting">River Rafting, Skiing, paragliding, ice skating, and golf which makes Himachal tourism interesting as ever. The tourism department of Himachal Pradesh has divided the state into four distinct circles, namely, the Sutlej Circuit, the Beas Circuit, the Dhauladhar Circuit, and the Tribal Circuit. 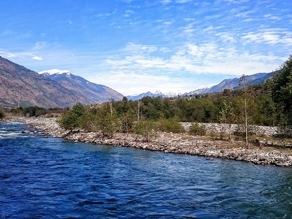 The River Beas flows through famous tourist destinations like Manali and the Kullu Valley. This circuit offers visitors the opportunity to relax amidst forests of deodar and pine trees, alpine fields, rocky slopes, grassy meadows blooming with colourful flowers, and fruit orchards. The Tribal Circuit consists of cold mountains, glaciers, frozen lakes, passes, beautiful monasteries, lamas, and yaks. Marked by rich cultural traditions, this region is a hotspot for breathtaking adventurous activities. The Dhauladhar Circuit, also known as the outer Himalaya, begins from Dalhousie and ends at Badrinath. This circuit is clearly visible from the Valley of Kangra. The Sutlej Circuit offers a view of the lower ranges of the Shivalik Mountains to its higher ranges. Surrounded by lush green apple orchards, pine forests, deodars, and the River Sutlej, this circuit offers beautiful sightseeing opportunities to visitors. Nicknamed ‘the Abode of Gods’, this state has numerous Hindu temples including that of Jwalamukhi, Chamunda, Brajeshwari, Chintpurni, Baijnath, Laxminarayan, Chaurasi, among others. Various gurudwaras and churches are also located in different parts of the state, adding to the various aspects of Himachal tourism. Paonta Sahib, Rewalsar, and Manikaran are the major Sikh pilgrimage centres where as, Christ Church Kasauli, Christ Church Shimla, and St. Johns Church are the important Christian religious destinations of the region. The Great Himalayan National Park, the Pin Valley National Park, the Renuka Sanctuary, the Pong Dam Sanctuary, the Gopalpur Zoo, and Kufri are the destinations that are popular among nature lovers of Himachal tourism. A glimpse of the royal heritage and the archaeological marvels of the region can be seen at the Kangra Fort, the palaces of Jubbal, the Naggar Castle, the Kamru Fort, the Gondla Fort, the Christ Church, Chapslee, the Wood Villa Palace, and the Chail Palace. Showcasing the aesthetic art forms from the ancient royal era of the region are the many museums and galleries located here including the State Museum, the Kangra art Gallery, the Bhuri Singh Museum, the Roerich Art Gallery, and the Sobha Singh Art Gallery. Promising a time of leisure and serene ambience are the many beautiful lakes, such as the Prashar Lake, the Khajjiar Lake, the Renuka Lake, the Gobindsagar Lake, the Dal Lake, the Pongdam Lake, the Pandoh Lake, the Manimahesh Lake, and the Brighu Lake. Himachal Pradesh is also popular as a city of fairs and is known various celebrations like the Winter Carnival Shivratri, the Ladarcha Fair, the Minjar Fair, the Manimahesh Fair, the Phulech, the Kullu Dushera Lavi Fair, the Renuka Fair, and the Ice Skating Carnival. Destinations like Bir, Manali, Bilaspur, and Rohru are known among tourists for aero-sports like Paragliding and hang-gliding. These are some of the undeniable aspects of Himachal Pradesh tourism. Head To Manali And Stay In An Igloo In The Mountains Of India, This Winter!